Continuing the evolution of the MB series, the MB800 features incredible output, increased functionality and a completely discrete FET (field effect transistor) driven preamp. With 800 massive “GK watts” of power, the MB800 can handle even the largest venues without breaking a sweat, and at 4.9 lbs. neither will your roadie. 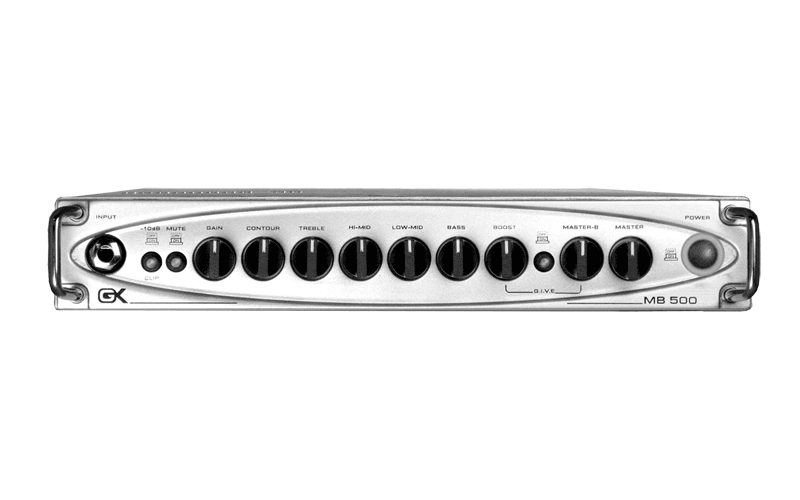 All of the controls of the MB800 are lit to indicate the current operating status including; input clip, tuning mute, Gain A, Gain B/Level-B, power amp clipping, limiter enable and EQ/Contour settings. The same FET technology used to create the legendary boost (G.I.V.E.) 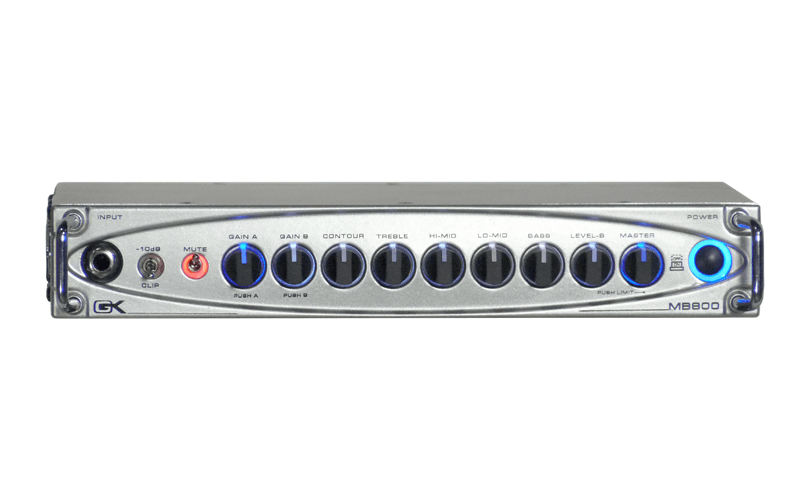 circuit found in all GK amplifiers for over 30 years is used in every stage of the MB800 preamp. Using FET devices to drive the GK four band active EQ, Contour and Gain allows the MB800 to transition seamlessly from a full, warm, clean tone to full on GK growl. The signal path for gain, EQ, contour and the DI are 100% discreet F.E.T. driven to deliver a fatter response and "tube like" feel. The signal path for gain, EQ, contour and the DI are 100% tube driven, achieving classic tube performance with 300V plates. Weighing in at less than 4 lbs. and taking up less than one rack space, the MB500 delivers 500 watts of power in a package that will easily fit into your gig bag. Featuring GK’s legendary four band active EQ and contour control, the MB500 allows you to tweak your tone before hitting the digital power section. In addition to the generous tone shaping capabilities, the preamp section also features a foot switchable boost channel with independent volume control to dial in just the right amount of grind and level boost when needed. Ranging from 25 watts to 500 watts, the MB Series II combos have the power to be heard in any situation while remaining effortlessly portable. 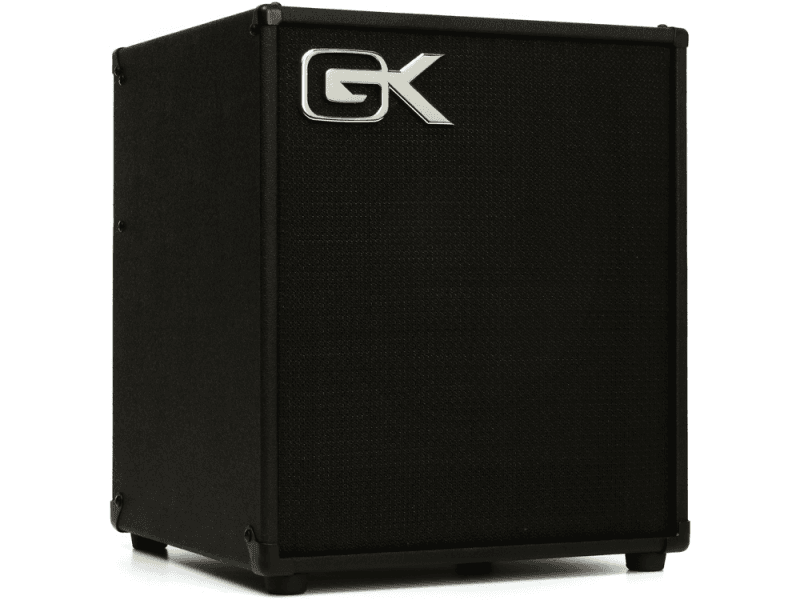 Quality plywood construction, digital power supplies and power amplifiers, high performance speakers designed and manufactured by GK in the U.S.A., custom high frequency tweeters and classic GK voicing make these combos ideally suited for weekend warriors and professionals alike. When extra output is needed, GK’s proprietary ‘Chain Out’ offers virtually unlimited expansion when paired with MBP Powered Enclosures.